I am a writer of historical narrative, recreating the lives of people such as the explorer Captain John Smith, the English scientist Thomas Nuttall, the Swiss/Mexican explorer and scientist Jean Louis Berlandier, the missionary explorer Daniel Little, the scientist and clergyman Jeremy Belknap, the American patriot Ebenezer Hazard, and the mountaineer Captain John Evans. I write local histories of places in New England and Oklahoma. I write and edit encyclopedia. 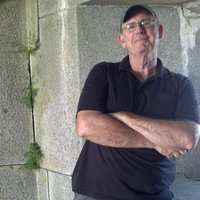 My first fictional work, "The Curse of the Bronze Amulet," set in 18th century New Hampshire, has just been published by Black Rose Writing. I am a prolific writer, with more on the way! To ask Russell M. Lawson questions, please sign up. For several reasons, I suppose. First, it was never assigned in any high school or c First, I will admit that I have been teaching American history for almost 35 years and have never, until recently, read Harriet Beecher Stowe’s Uncle Tom’s Cabin. We’d love your help. Let us know what’s wrong with this preview of The History of the Decline and Fall of the Roman Empire Volume III by Edward Gibbon. We’d love your help. Let us know what’s wrong with this preview of Letters from a Stoic by Seneca. Christian book club, sponsored by St. Polycarp Publishing House and Rev. Aaron Simms.